« Who was Jacob Ellrod II? This was auto translated with Google Translate. I will attempt to make more sense of it in the coming days when I have time… Have patience please. The family of Count Ellrodt was a family in the service of the Principality of Bayreuth. They owned the manors Neudrossenfeld, Lanzendorf, Neunhofen, Castle Lausnitz and Reipoltskirchen. 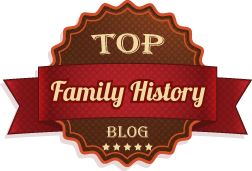 This article traces the noble family Ellrodt family members, up to the beginning of the 17th Century after Kulmbach traced. Bourgeois (bourgeoisie (pronounced /bʊərʒwɑˈziː/) (adjective: bourgeois) describes a range of groups across history. In the Western world, between the late 18th century and the present day, the bourgeoisie is a social class “characterized by their ownership of capital and their related culturefamily members) called Ellrod are connected with Gefrees, Germany. 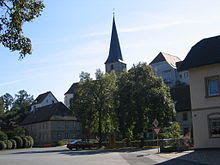 While the aristocratic family of Ellrodt found shortly before the middle of the 19th Century are extinct, even today there are descendants of the Ellrod name especially in Bavaria. 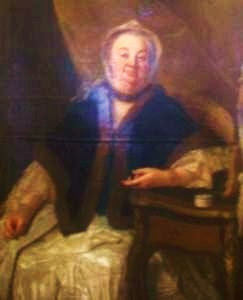 The sons of Master Doctor Johann Michael Ellrod (1672-1709) and Rosine Magdalene, daughter of Johann Georg Ortt equerry came to prominence in the Principality. Wolfgang Friedrich Ellrod (* 1704) was a Privy Council, and subsequently Consistorial. He was elevated to the peerage in 1762. Male descendants can be found as a Prussian officer, but when the line has all but died out. Also, the third son Germann August (1709-1760) was offered the noble elevation, but declined. His merit lies in spiritual and visual tasks, he served as first theology professor at the University of Erlangen. 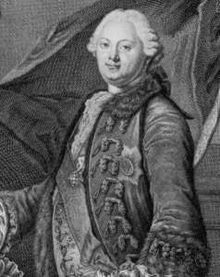 The second son, Andreas Phillip (1707-1767) was one of the closest collaborators with Margrave Friedrich III and exercised his life to end the de facto regent of the principality. He was elevated to the peerage in 1750, 1759, in the barony and 1762 in the imperial counts. He belonged to the Red Eagle Order. We learn a lot about him from the memoirs of the Countess Wilhelmine. 1689 Marquis had Christian Ernst Drossenfeld the manor to the secret court and Judicial Council and feudal Probst Johann Wolfgang Franke sold. According to Franke’s death in 1707 inherited his siblings and their children’s possession. Among these was the mother of the later imperial counts of Ellrodt. Philipp Andreas Ellrodt bought from 1740 to the heirs of the remaining shares in 1752 and became sole owner of the manor Drossenfeld. Bills of sale of the manors and Lausnitz Neunhofen of 1745 are in the Staatsarchiv Bamberg. 1763 bought by the First Minister and landscape margravial President Philipp Andreas Graf von Ellrodt a native of the Swedish nobility Count Lowenhaupt its share for 140,000 guilders from Reipoltskirchen. Count Lowenhaupt had heard since 1608 through an inheritance, the whole rule Reipoltskirchen. Through marriage and lack of male descendants Reipoltskirchen 1628 was a community of heirs. 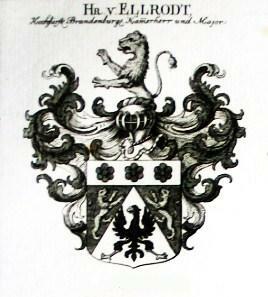 Since 1730, the Count had the lion’s head have to share sovereignty over Reipoltskirchen with the counts of Hillesheim. The purchase agreement between Ellrodt and lion’s head was placed in front in a document an accurate description of the rule Reipoltskirchen. Andreas Philipp Graf and son of Friedrich Wilhelm Ellrodt have as owners of the manor Neudrossenfeld the local castle expanded significantly. After the marriage in 1763 of the 26-year-old son of Friedrich Wilhelm Count von Ellrodt, envoy of the Marquis at the Viennese court, with the Countess Christine Wilhelmine Luise imminent Lowenhaupt, the castle Drossenfeld was the residence of the young couple and Neudrossenfeld be expanded to their seat of power . The Bayreuth Margrave architect Carl von Gontard took over the planning and execution. 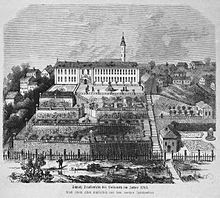 Where today the residential area “Summer Leite” is, 1763 was one English Garden with paths, fruit trees, fountains and walkways created. During this period, von Gontard, the Hanging Gardens in the south of the castle built. 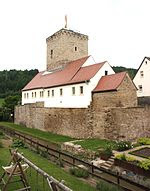 In the Margrave style newly built Dreigfaltigkeitskirche is located at the north portal Ellrodt family crypt and a separate lodge for the family. The cornerstone for the first presbytery in Neudrossenfeld was placed under the of Ellrodt. Count Friedrich Wilhelm Lerchenfeld a village consisting of twelve houses create. Among the construction activities also include the Ellrodtsche garden portico in Bayreuth . Under the successors of Margrave Friedrich, Count of Ellrodt fell temporarily from grace, the marriage of the young Count couple did not last too long, Friedrich von Ellrodt died before his father at the age of 28 years with a chest disease, barely 18 months after the wedding. Work on the palace were stopped abruptly. The old count, leaving his wife at his death in 1767 next to Castle Neudrossenfeld, goods and privileges of 230 000 guilders Bauschulden. State Archives in Bamberg are for the period 1769/1771 to confirm the filing Seiz’schen between the heirs and the widowed Countess of Ellrodt purchase agreement over the estate to Voita. 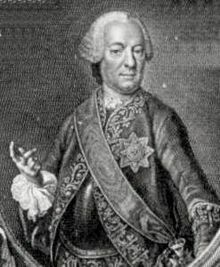 Likewise, there are records about the fact that Councillor from gag to Ansbach in the period 1766-1792 against the heirs of the Earl of Ellrodt because of the succession processed in the male part of the manor Lanzendorf. 1773-1774 renovation was carried out at the fief of the share of the manor Ellrodt’schen Lanzendorf. At the same time a request by the steward’s Gromann to Kulmbach was to award the full purchased his father’s share of the estate Lanzendorf. So in 1774 the Earl of Ellrodt’schen heirs against the bailiff Gromann Kulmbach processed due to the manor Lanzendorf trespass. 1777 was Grohman, whose ancestor, the Counsellor Johann Wolfgang Grohman, by Margrave Georg Wilhelm was granted tenure in 1710 with the manor, as owners of the manor Lanzendorf, but only in 1790 by the guardian of Ellrodt’schen children sought loans magnificent consensus was for sale the half share of the estate Lanzendorf. Duke Christian IV of Zweibrücken in 1773 bought half of the Ellrodt’sche Reipoltskirchen rule, but after a decision of the Vienna High Court had to buy this because of a complaint to the Countess of Hillesheim Count Ellrodt widow be returned because relatives have been deceived by Ellrodt. The return of the parts was only in 1779. The Princess Karoline von Isenburg made ​​by Baron Ludwig von Esebeck , lord of the castle good Ingweiler , buy the share at Ellrodt’schen Reipoltskirchen. This purchase agreement was signed by her father, Karl Theodor in his capacity as an elector at the first Approved in February 1778. The ownership of Ellrodt’sche Reipoltskirchen ended. 1775 had the castle of Ellrodt Neudrossenfeld with all the associated lands to Georg Christoph Freiherr von Reitzenstein sell for 52,000 guilders. Ellrodt the steep rise of the family had taken an abrupt end. The palace complex was still up to the death of Baron von Reizenstein 1785 and his wife Christina Magdalena 1789 in a noble estate in the next 200 years, followed by eight civic owners. Among other things, it belonged in the 19th Century, both to the host economy Hoelzel and the family of brewer Schnupp. In the patent of nobility shows (1750 and 1762), awarded a silver emblem on the main plate , is three red roses on a blue ground (bent-) silver tip, this one covered with black (goldenbekrönten) Adler. In the two blue boxes is ever a golden lion turned inwards. Right on the helmet with red and silver, blue and gold left ceiling a growing golden lion. The (1759) in the Baron diploma awarded, “reformed” coat of arms is quartered with a red heart sign shows it as a silver diagonal beams topped with three red roses, box 1 and 4 in silver, the black eagle, field 2 and 3: five divided by blue and silver, the shield is crowned with the baron’s coronet, to rest for three crowned helmets: the right with red and silver covers wearing a black eagle’s wings, covered with a abgeledigten oblique beams, to the three red roses, the middle with blue-silver cover contributes to the growing golden lion, goldenbekrönt, and the left with blue and silver covers two buffalo horns, known as the panels 2 and 3 plate holder are two golden lions sighted abroad. To view the coat of arms of the Barons Philip with the year “1756” is the Red Eagle Order placed on red tape, because he belonged to that order. Martin Riedel Belly: The Rise, ministry, and the decline of the empire counts of Ellrodt . In: Archive for History of Upper Franconia . 39th Band. Bayreuth 1959th P.292-302. This page was last updated on 23 May 2011 at 18:09 clock changed. The text is available under “Creative Commons Attribution / Share Alike” available, additional conditions may be applicable. Details are described in the Terms described. Wikipedia ® is a registered trademark of the Wikimedia Foundation, Inc. Interesting. I live in ny. My last name is ellrodt. Maybe it is the translation as I do not understand why this page describes the Ellrodt family as extinct as I along with 40 or so American Ellrodts live to this day. This is a curious subject to me as I never knew my father Louis N. Ellrodt III who was killed when I was 3 years old. I have received some family history from my Uncle and Grandfather before his passing. this is very intresting to now. im the son of Harold v elrod ho is the son to John darold Elrod that lived in mansfield Ohio and came from down south in the U S .
How is my affiliation to this particular Ellrodt of Prussia… So curious.